Siva cast his spiritual energies into a fire. But Agni, the fire god, could not bear its radiance for long. He cast it into river Ganga, causing its cool waters to boil. The terrible heat thus generated, set fire to the reeds on the river banks. In great blaze, Siva's energy transformed into a child, a buy with six beads and twelve arms. When the fire died out, six wondering nymphs called the Kritikkas, found the baby. They nursed him and took him to Siva. The sight of this extraordinary child filled the god with awe. He was given many names: Skanda, the energetic emission; Gangeya, the son of Ganga: and Kartik, the son of the Krittika maidens. Siva gave him a powerful lance, vel, as a weapon: a rooster for his insignia: and a peacock for his vehicle, his vahana. Siva and Parvati had isolated themselves in their cave, away from all interruptions. Entry was forbidden even to the gods. So the devas stood outside and, in a very loud voice, began discussing the chaos caused by the demons, especially Taraka. The began to howl and cry, lamenting their inability to deal with the terrible situation. Disturbed by the din and feeling sorry for the gods, the cosmic couple stepped out of their cave. “How can I help you?” Siva asked. “Give us a child capable of fighting demons on the seventh day of his life,” the gods begged. Siva agreed. “Take the essence of my austerities. From it will rise my son, in the cosmos. The Skanda Purana is one of the eighteen major Puranas, as stated in the Shirmad-Bhagavatam (12.7.23-24): "The eighteen major Punaras are the Brahama, Padma, Visnu, Siva, Linga, Garuda, Narada, Bhagavata, Agni, Skanda, Bhavisya, Brahma-vaivarta, Markandeya, Vamana, Varaha, Matsya, Kurma and Brahmanda Puranas." Of all the Puranas, the Skanda Purana is by far the largest, as explained in the Shrimad-Bhagavatam (12.13.4-9), containing eighty-one thousand one hundred verses. The great acharyas, frequently quoted important verses from the Skand Purana. 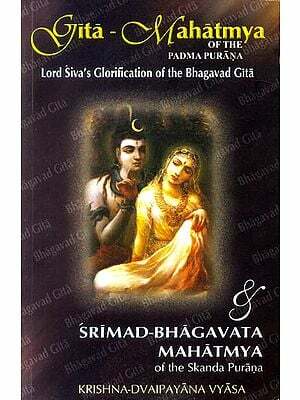 In a prabhupada to Shrimad-Bhagavatam (2.9.36), Srila Prabhupada wrote: "Srila Jiva Gosvami also quotes another common passage, which is found in three Puranas, namely the Padma Purana, Skanda Purana, Skanda Purana and Linga Purana. It runs as follows:"
"By scrutinizingly reviewing all the revealed scriptures and judging them again and again, it is now concluded that Lord Narayana is the Supreme Absolute Truth, and thus He alone should be worshiped." The Skanda Purana is one of the eighteen major Puranas, as stated in the Shrimad-Bhagavatam (12.7.23.-24): "The eighteen major Puranas are the Brahama, Padma, Visnu, Siva, Linga, Garuda, Narada, Bhagavata, Agani, Skanda, Bhavisya, Brahama-vaivarta, Markandeya, Vamana, Varaha, Matsya, Kurma and Brahamanda Puranas." Of all the Puranas, the Skanda Purana is by far the largest, as explained in the Shrimad-Bhagavatam (12.13.4-9): "The Brahama Purana consists of ten thousand verses, the Padma Purana of fifty-five thousand, Sri Visnu Purana of twenty-three thousand, the Siva Purana of twenty-four thousand and Srimad-Bhagavatam of eighteen thousand. The Narada Purana has twenty-five thousand verses, the Markandeya Purana nine thousand, the Agani Purana fifteen thousand four hundred, the Bhavisya Purana fourteen thousand five hundred, the Brahma-vaivarta Purana eighteen thousand the Linga Purana eleven thousand. The Varaha Purana contains twenty-four thousand verses, the Skanda Purana Eighty-one thousand one hundred, the Vamana Purana ten thousand, he Kurma Purana seventeen thousand, the Matsya Purana fourteen thousand, the Garuda Purana nineteen thousand and the Brahmanda Purana twelve thousand. Thus the total number of verses in all the Puranas is four hundred thousand. Eighteen thousand of these, once again, belong to the beautiful Bhagavatam." Shrila Prabhupada frequently explained that, of the eighteen Puranas, six are meant for those in the mode of ignorance, six are meant for those in the mode of ignorance. In a Bhagavad-gita lecture, Shrila Prabhupada once said, "There are eighteen Puranas. Man are conducted by there qualities: the modes of goodness, modes of passion and modes of ignorance. To reclaim all these conditioned soul in different varieties of life, there are presentation of the Puranas. Six Puranas are meant for those who are in the modes goodness. And six Puranas are meant for the persons who are in the modes passion. And six Puranas are for those who are in the modes ignorance. This Padma Purana is meant for the persons who are in the modes of goodness. In Vedic rituals, you find so many difference of ritualistic performances. It is due to different kinds of men. Just like you have heard the in the Vedic literature there is a ritualistic ceremony of offering goat sacrifice in the presence of goddess Kali. But this Purana, the Markandeya Purana, is meant of persons in the modes of ignorance." As far as I know, Shrila Prabhupada never mentioned for which people the Skanda Purana was written. In the Garuda Purana, which is meant for those in the mode of goodness, it is said that those Puranas compiled for persons in passion and ignorance contain some sections beneficial for those in the mode of goodness. These sections can be enjoyed by persons cultivating the mode of goodness, while leaving aside the rest. The Skanda Purana prinicipally deals with glorification of Lord Shiva and holy places of Pilgrimage associated with him. 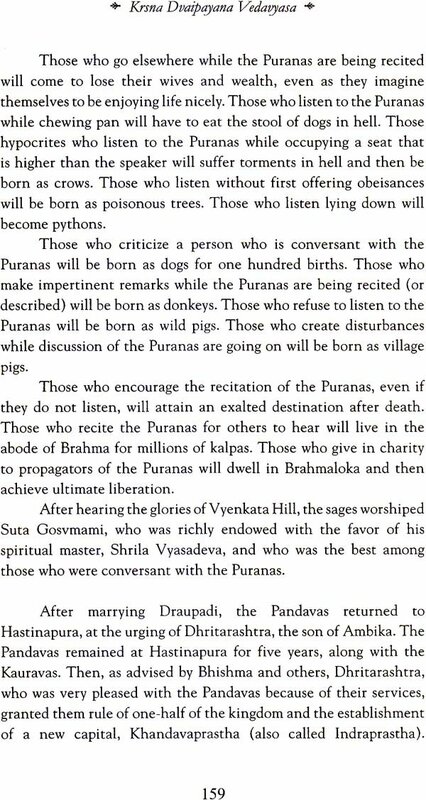 For this reason, I tend to think that this Purana is principally meant for those in the mode of ignorance. In the Krishna Book, in the chapter entitled, The Deliverance of Lord Shiva, Shrila Prabhupada wrote: Vrkasura was searching after a benediction and trying to decide which of the three presiding deities to worship in order to get it. In the meantime he happened to meet the great sage Narada and consulted with him as to whom he should approach to achieve quick results form his austerity. He inquired, " Of the three deities, namely Lord Brahma, Lord Visnu and Lord Siva, who is most quickly satisfied?" Narada could understand the plan of the demon, and he advised him, " You had better worship Lord Siva; then you will quickly get the desired result. Lord Siva is very quickly satisfied and very quickly dissatisfied also. So you try to satisfy Lord Siva." Narada also cited instances wherein demons like Ravana and Banasura were enriched with great opulence simply by satisfying Lord Siva with prayers. Because the great sage Narada was aware of the nature of the demon Vrkasura, he did not advise him to approach Visnu or Lord Brahma. Persons such as Vrkasura, who are situated in the material mode of ignorance, cannot stick to the worship of Visnu. 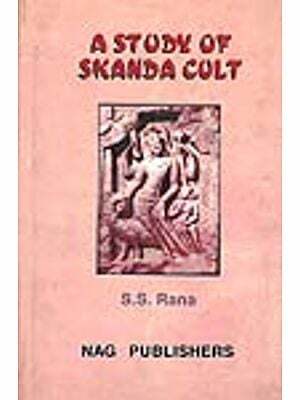 Still, there are very interesting sections of the Skanda Purana, such as those that describe the glories of Jagannatha Puri and Vyenkata Hill. 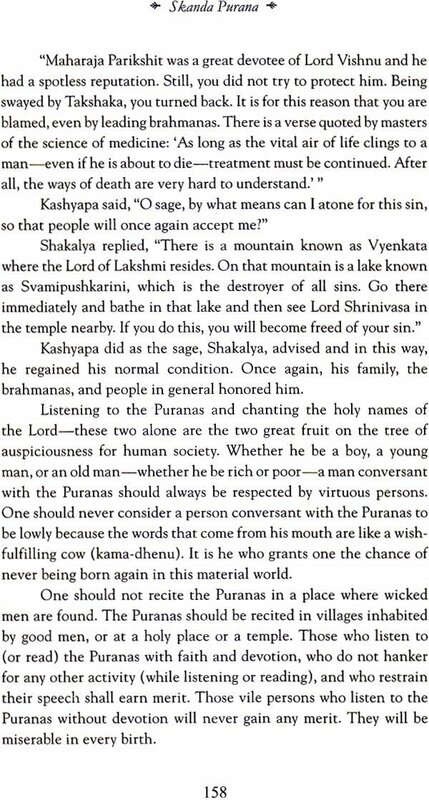 And, so in all the Puranas, there are innumerable short statements that are veritable gems of wisdom. "Persons who are not very highly elevated in pious activities cannot believe in the remnants of food [prasadam] of the Supreme Personality of Godhead, nor in Govinda, the holy name of the Lord, nor in the Vaisnavas." Its quite amazing to know that there are so many stories of God Muruga that many are not aware of. These stories are a perfect example. 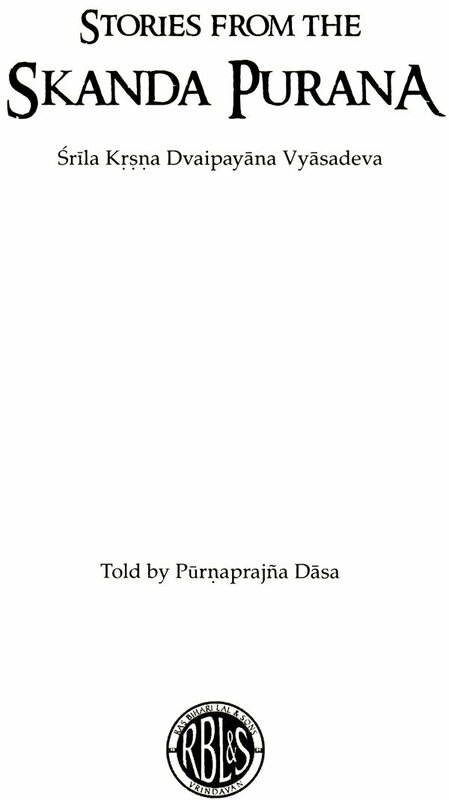 Adding one more set of stories of God Muruga to the list. The Story of Muruga becoming Swaminathan. 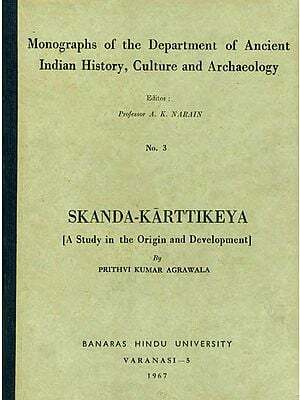 Origin and Growth of the Puranic Text Corpus "With Special Reference to the Skandapurana"